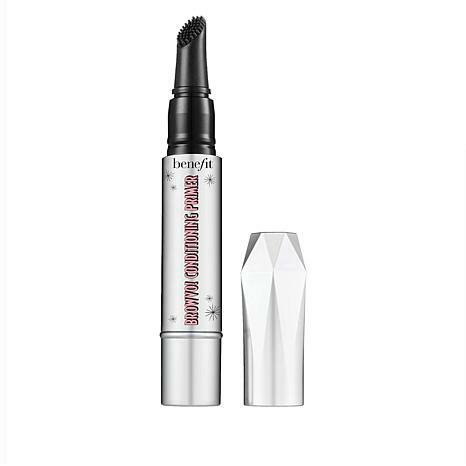 This all-in-1 eyebrow serum and nutrient-rich conditioning primer features a clear gel formula suitable for all brows. Click pen once, glide over brows and let dry. 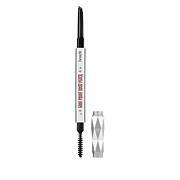 Wear alone or as a primer under brow products to enhance the color and extend the wear. Wear primer overnight to help condition your brows. Signature Tips & Tricks included. Ingredients: Aqua (Water), Alcohol Denat., Lithium Magnesium Sodium Silicate, Pentylene Glycol, Hydrolyzed Keratin, Phenoxyethanol, Benzyl Alcohol, Xanthan Gum, Caprylyl Glycol, Styrene/Acrylates/Ammonium Methacrylate Copolymer, Panthenol, Disodium Edta, Butylene Glycol, Hydrolyzed Soy Protein, Sodium Laureth-12 Sulfate, C11-15 Pareth-7, Olea Europaea (Olive) Fruit Oil, Simmondsia Chinensis (Jojoba) Seed Oil, Tocopheryl Acetate, Potassium Sorbate, Tetrasodium EDTA. I like putting this on my brows before using a brow pencil. It feels very soothing. This gets my eyebrows under control and holds the pencil or powder all day. So I have been using this primer for about 2 months and I do not use it everyday because I forget. My eyebrows are looking a whole lot better they were so thin and patchy not anymore I love this product I already ordered more... Try it and give it some time to work!